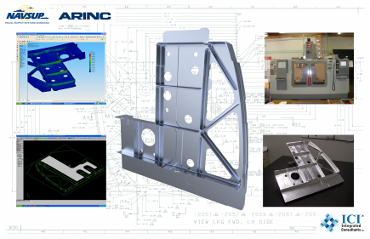 Integrated Consultants, Inc. reverse engineered a damaged airplane bulkhead and delivered several replacement units. ICI started with a damaged bulkhead and a number of conflicting and unorganized paper drawings. The bulkhead was reverse engineered into a 3D parametric model, and then this shape was compared to the supplied 2D prints. Inconsistencies were checked and resolved to create a final model of the desired part. 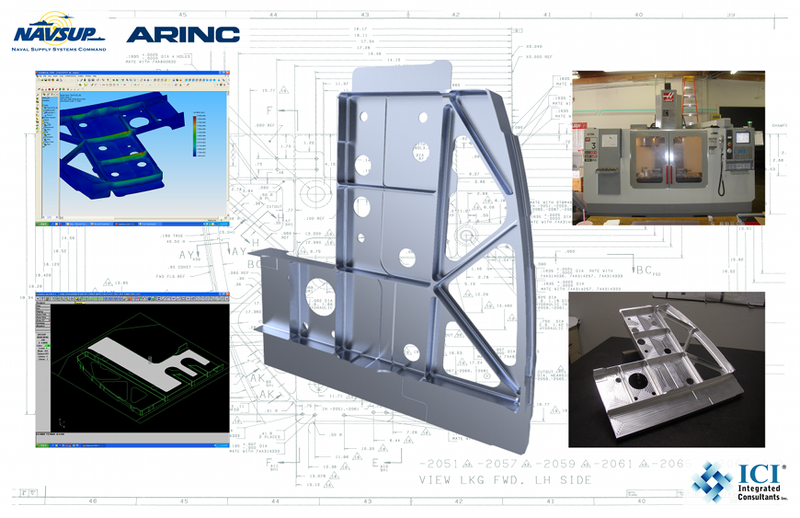 This 3D file was used to create tool paths to run a CNC milling machine and produce the final parts.